Shake Shack are launching it’s first chicken burger in the UK! On April 25th, the burger chain will be bringing out the chicken, with a new burger. To celebrate, they’re giving them away for free! 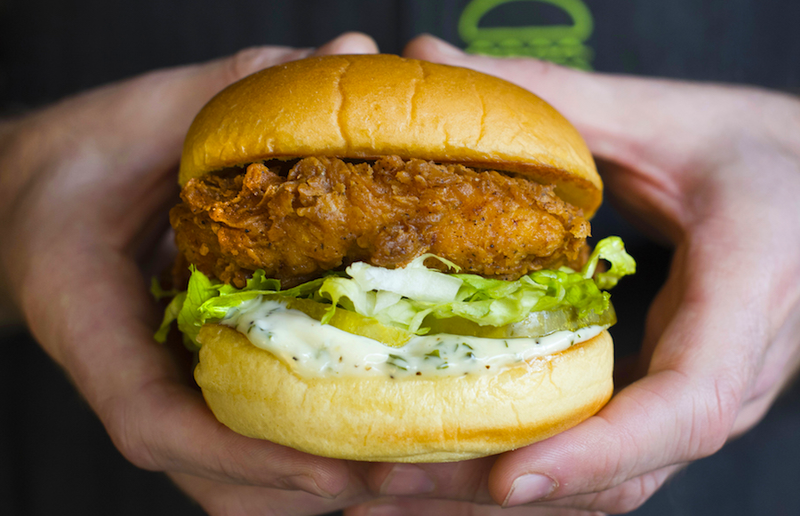 The Chick ’n Shack features 100 percent British, buttermilk-marinaded, slow-cooked chicken and comes topped with shredded lettuce, pickles and mayo – all served in Shake Shack’s signature sweet roll. But, if you want a free lunch you’re going to have to be quick… There are only 50 free Chick ’n Shacks available at each selected London store. The Chick ’n Shack is available from April 25 at Shake Shack Victoria Nova, Stratford, Leicester Square, Tottenham Court Road and Canary Wharf.